T-Mobile to launch BlackBerry Z10 to business customers March 11 | BlackBerry Blast! 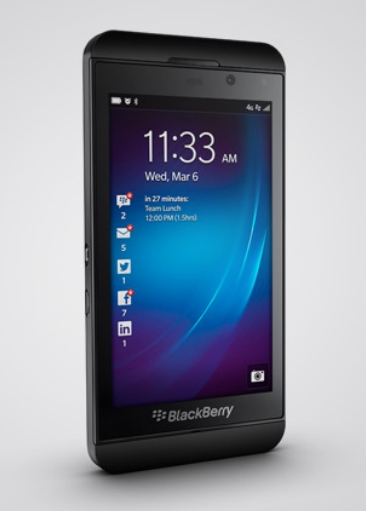 T-Mobile will offer the BlackBerry Z10 to its business customers on March 11. Customers will be able to get their hands on the BB10 device by the end of next week. Other US carriers have not yet announced official launch dates for their BlackBerry 10 devices so it looks like T-Mobile will be the first US carrier to carry the Z10. BlackBerry fans have been anxiously awaiting the new BlackBerry 10 as they have watched BB10 launch around the world. It's pathetic that the US release had to come so far behind other countries, but it looks like it will all be history within the next couple of weeks.